Europonic Silicate has 11% Silicon Dioxide, making it one of the strongest potassium silicate products on the market. 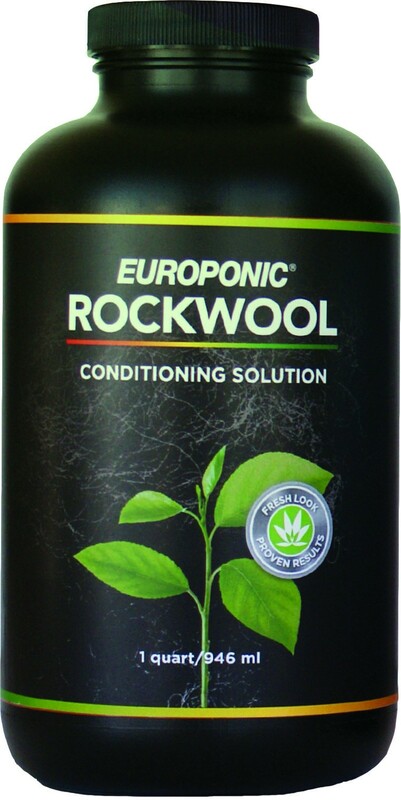 Protect and fortify your plants with Europonic Silicate! Serious growers know that silica is important to overall plant health. 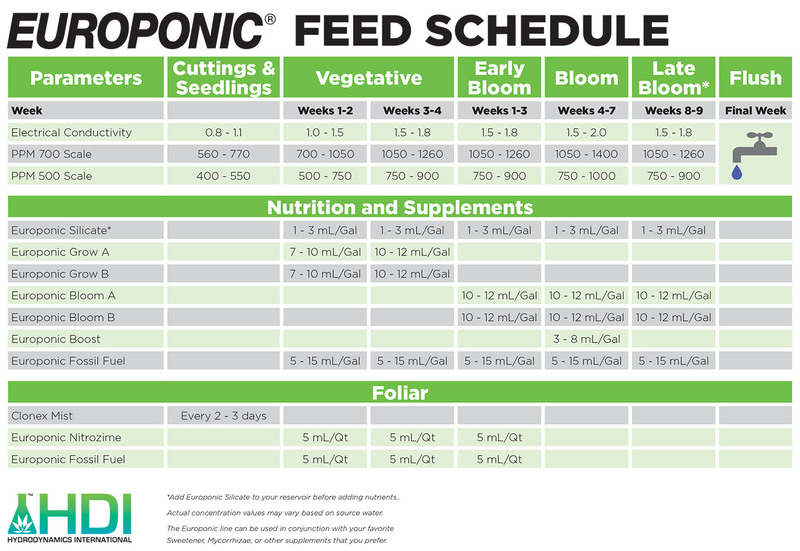 The benefits of using a silica plant nutrient supplement can be experienced by plants in any stage of the life cycle, including the clone or seedling stage. 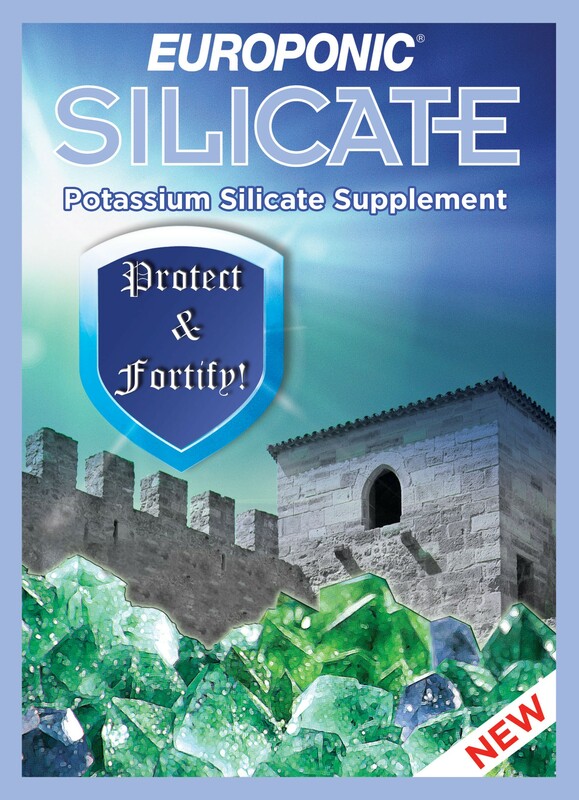 Silica aids in strengthening plants by reinforcing the cell walls from the inside out. This results in stronger branches that are less likely to break during the important flowering cycle. 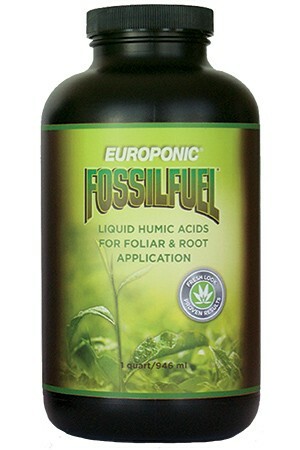 Another benefit to using a silica supplement is that it increases a plants resistance to environmental stresses. These stresses include extreme heat or cold and exposure to drought. Silica aids plants in combatting the effects of these stresses and helps to reduce plant shock during times of extreme stress. Silica also provides plants with an increased resistance to pathogens and pests, i.e. bugs. With regular use, silica will build up in the plants cell walls. This build up makes it difficult for bugs to bite or damage the plant. 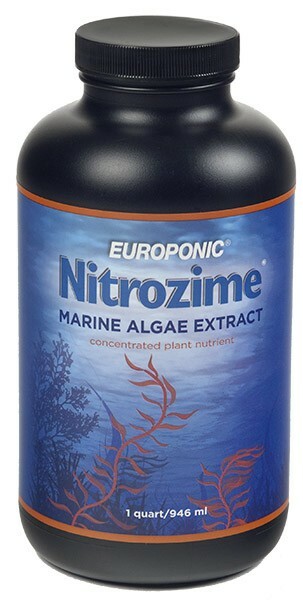 Using Europonic Silicate provides the silica plants need whether in hydroponics, soil, or soilless mixes. The benefits of Silica for plant health are many, and stronger plants can lead to increases in yield. Not to mention, Europonic Silicate is one of the strongest Silica products on the market with 11% Silicon Dioxide. 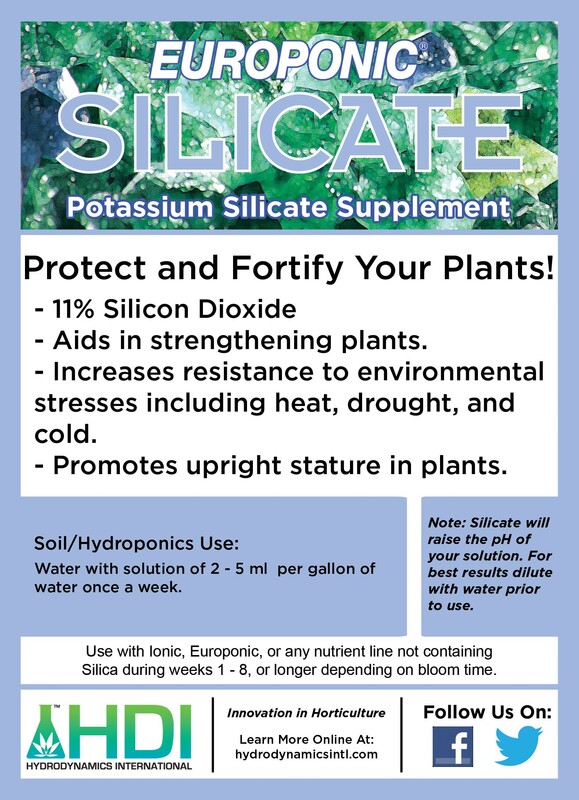 Get the facts and go for Europonic Silicate, the Silica and Potassium plant supplement with the most Silica and a low price tag. Learn more about how Europonic Silicate stacks up to the competition. Water with a solution of 2 – 5ml per gallon of water once a week. 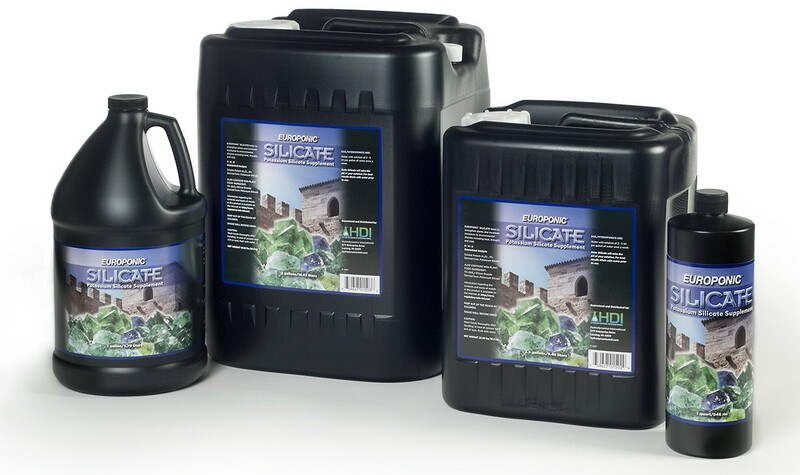 Add Silicate to your reservoir first, before adding water or plant nutrients. Note: Silicate will raise the pH of your solution. For best results, dilute with water prior to use.